Where are all the heroes and heroines? The Cricket World Cup continues and now we have only the final match left. New Zealand versus Australia. The success of the New Zealand team and the reaction to their semi final win led me to think about heroes. The saying goes that every one likes a winner, and since the New Zealand team has exceeded many peoples’ expectations, the local media are ecstatic. Most ordinary New Zealanders who would not normally be interested in cricket have been tuning their radios and TV to the match commentary or streaming the matches from the Internet. Indeed it would be fair to say that the whole country is behind the team. Interestingly, the New Zealand commentators, who covered the semi final and who were jumping for joy when New Zealand won, were almost as quick to sympathise with the losing South African team. This empathy was probably because it was an amazing game with a breath taking finale, played all the way through in good spirit, and the South African team who so nearly won it called truly be called gallant in defeat. The match could have gone either way up until the very end, and I think this helped the New Zealand team and the New Zealand public to commiserate with the South Africans. It so nearly was the New Zealand team on the losing end of the match. It was an amazing end, with grown men hugging and grown men crying. Being a small country New Zealand doesn’t often have sporting heroes or heroines, but it does happen. New Zealand players have gone to Australia the UK, Japan, France and even the US to play their sport, be it soccer, basketball, rugby union or rugby league. New Zealand doesn’t have the funds to pay professional sports persons that these other countries do. Somehow or other this doesn’t seem to affect the quality of the sports stars in the local sporting arenas. In fact returning players often find it a little difficult to get back into the top level teams on their return from an overseas period of their career. In New Zealand the public has a curious attitude to top sports persons. If a New Zealander were to meet one of his or her sports idols, he or she would probably as likely offer to buy him or her a drink as ask him or her for an autograph. New Zealanders expect sports stars to be approachable, and in many cases they are. Because it is a small country, a sizeable number of the fans will have gone to school with them, or lived next door to them, or perhaps worked with them when they were starting out, before they became professional sports persons. New Zealanders tends to excel in what could be called minor sports. This is probably partially because in the larger countries, the ones in which the sport arose or where it has become very popular the best athletes are attracted to the major sports. When a New Zealander or New Zealand team do succeed in major sports it is front page news ‘back home’. Even when it is a minor sport (such as Greco-Rona wrestling or lawn bowls) if a New Zealander does well they become well known, at least in New Zealand. New Zealanders realise this full well and wryly comment that something is “world famous in New Zealand“. So we have the likes of Stephen Adams doing well in American basketball, and the average New Zealand man in the street knows that he plays for Oklahoma City Thunder, and the average New Zealand sports buff could probably tell you what his scores were. Heroes and heroines have been around since people started to form towns and cities and to write down their histories. Back in the times that the Greeks and Romans held sway in Europe, it is likely that total population of the Earth would have been measured in millions rather than the billions that live on the Earth today. Towns and cities of the time would probably have appear small to modern eyes – Rome is believed to have peaked at around one million people at its peak in the second century of the Common Era. Since the populations were so small compared to today it is likely that the heroes and heroines of the time were known personally to a large part of the population. Since the population was so small the six degrees of separation of the modern world are likely to be reduced to three or four. Admittedly the lines of communication would likely be way slower in the ancient world but Julius Caesar was likely be a friend of a friend of a friend of every person in the world at that time. Given the small population of the time, heroic events would be quickly well known and the heroes and heroines would become household names. Since this would happen mostly by word of mouth, the Chinese Whispers effect would be strong. Intentional and unintentional misunderstandings would mount up and would inflate the story, so that instead of the hero overcoming three others, one at a time, he instead reputedly takes on a dozen all at once. When you read of Julius Caesar and his legions, I at least get the image of vast armies, but a legion was between 5,000 and 1,500 men. Caesar conquered Gaul with only a few legions, say 10,000 men probably which doesn’t seem very many, but there was little real opposition in numerical terms. 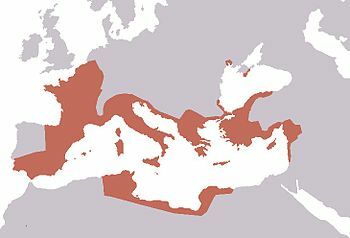 It’s not as if there were a strong national structure to oppose him, as the tribal structure common in those days might extend to a city or two, or a region and Julius Caesar was able to exploit regional rivalries to take control of the region. He of course had to contend with heroes popping up, like Vercingetorix who unified the previous divided Gauls. Heroes and heroines have only one fate – they win at first (which makes them heroes or heroines), but eventually they lose and then they usually die. Vercingetorix eventually lost to Julius Caesar at the battle of Alesia, and Julius Caesar cemented his hold over Gaul. Even Julius Caesar, eventually, lost both his empire and his life, at the hands of his former friends, who briefly became heroes themselves, before quickly losing their lives too. While modern day sporting heroes and heroines don’t actually die, they eventually suffer defeat and become radio or TV commentators, which may be a worse fate. So I hope that the New Zealand cricket team wins the Cricket World Cup tomorrow, but if they can’t manage it, they have put on an amazing show in getting this far. This entry was posted in General, Miscellaneous, Philosophy and tagged 2010s in music, Abu Ghraib, Adolf Hitler, Alexander the Great, Ancient Greek coinage, Ancient Rome, Brutus, Caesar!, Ides of March, Julius Caesar, Julius Caesar (play), Mark Antony, Roman calendar, William Shakespeare. Bookmark the permalink.